One point of contact. One location. One easy way to track and reuse assets. Storage and organization on demand, that's how we AIM for more. 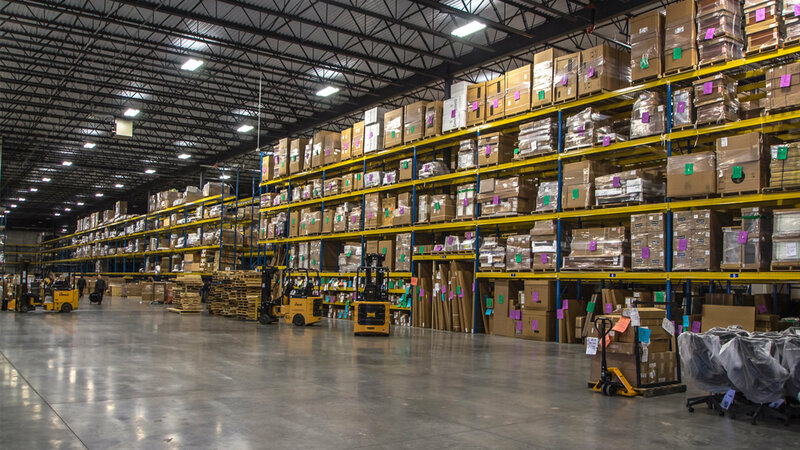 Our facility has an impressive warehouse that helps protect your investments from debris and damage while giving you the power to make informed decisions about what parts, pieces, and product is available for use. This timesaving inventory service comes with the backing of our trained staff to handle product, provide inventory reports, and inspect furnishings. Go behind the scenes with our dedicated team to understand what AIM can achieve for you. Storing your thoughts is one thing we recommend not doing. Connect with us! We'll give you the tools you need to make the best decision.